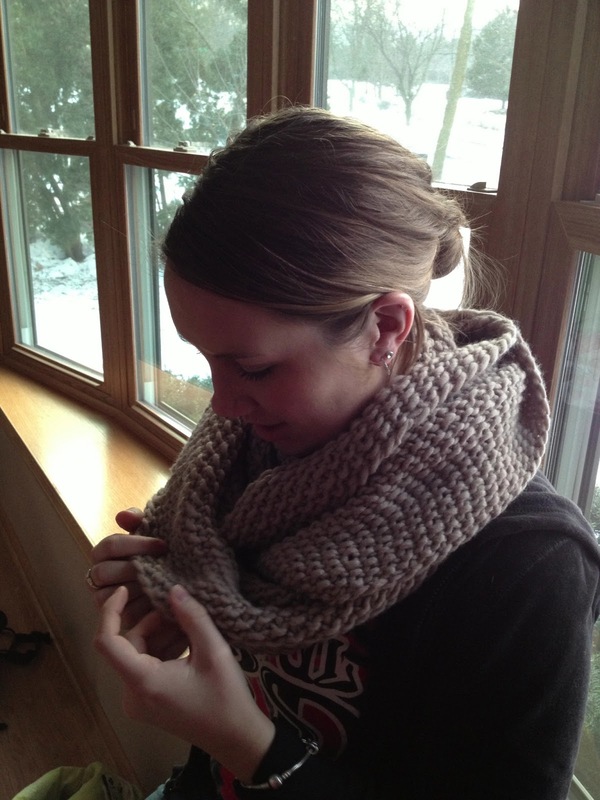 Miss Molly (my son's girlfriend) has been a knitting machine over the last few weeks of her winter break from college. She finished a pair of socks for her sister, a bunch of Tiny Sweaters and Tiny Trees, another beautiful cowl design of mine which will be available fairly soon (much more on that later), and the Gaptastic Cowl shown in the photos here. Miss Molly used 3 skeins of Quince & Co. Puffin in the Chanterelle colorway. She worked on US size 11, 32-inch circular needles. It seemed to fly off the needles for her. Miss Molly has now become a cowl knitter. She is really enjoying this type of project and I don't blame her. Last weekend I washed the cowl with Soak Wash in the Aquae scent and blocked it for her. The stitches evened out beautifully and it dried to be incredibly soft and squishy. 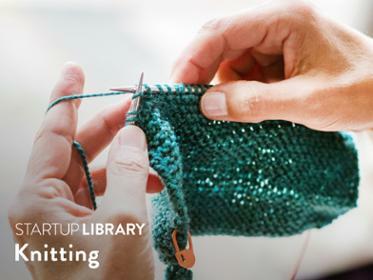 The Puffin yarn is a single-ply and it is so much fun to knit. My Agnes sweater is out of the same yarn in the Bark colorway. Plus, it is so reasonably priced, even for a college student. This is Miss Molly's first time trying it on. Isn't she sweet? She will get so much wear out of her new cowl on campus. It is supposed to get really cold here over the next few days in Madison with the lows being below zero. She walks to class and work on a daily basis so I am happy she will have a new knit to snuggle up in on her cold winter walks. Victory! I love that look of pride. 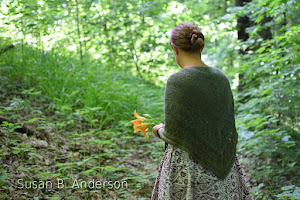 It has been fun to see Molly take off with her knitting over the last couple of years. She told me that people in her classes are always asking her about her knitting and that they ask her to teach them how all of the time. I love hearing that about college students. 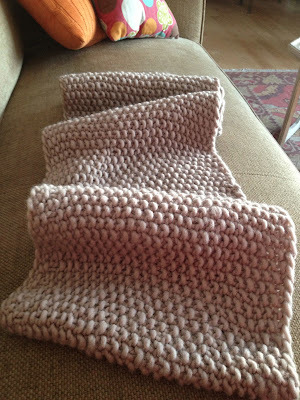 Peachy liked this cowl so much that I am knitting one for her in Quince & Co. Puffin in the Twig colorway. The yarn is on the way. Miss Molly's next cowl is going to be the Honey Cowl and I have a lot of yarn in my stash she can choose from for this project. I love sharing with her because she is always so appreciative and fun. 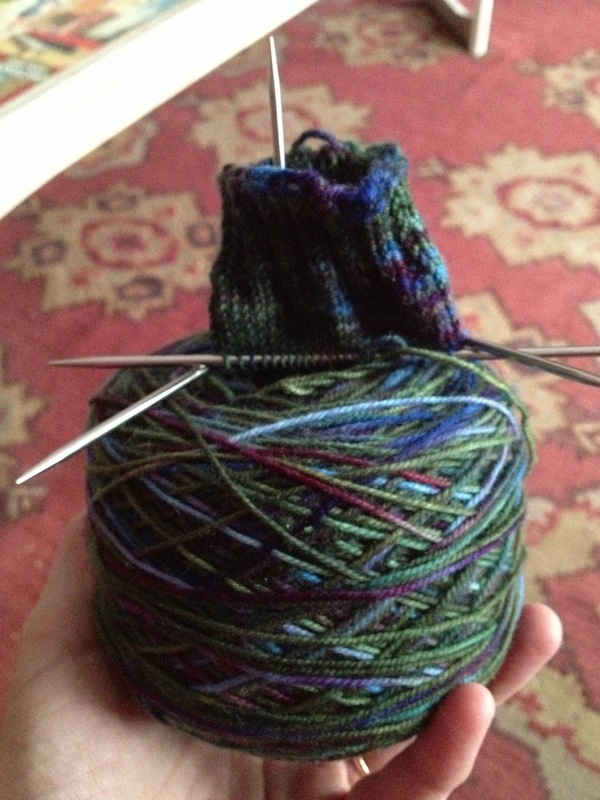 Next, Miss Molly immediately cast on for another pair of socks. This time in the Colinette Jitterbug sock yarn in the Dusk colorway. I bought this for her on our trip to Key West last spring. It is knitting up so pretty with the little bursts of color. She loves it. Now on another topic, I get a lot of emails from people sharing their knitting adventures with me. Every once in awhile something will really inspire me and these two emails I'm sharing below may inspire you, too. 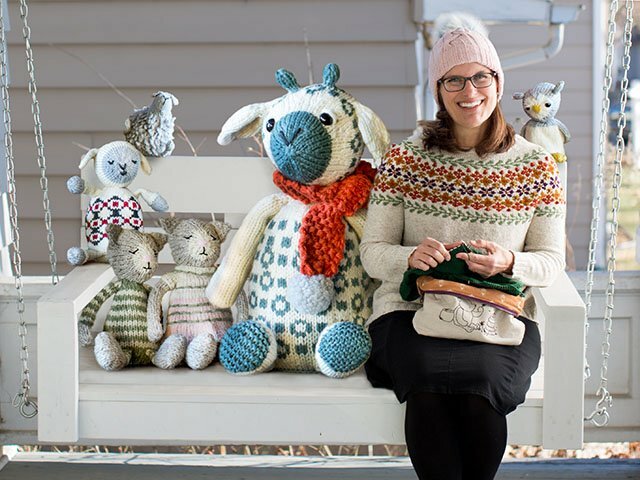 A short while back I received an email with a link from my friend Alison, one of the owners of the lovely knit shop called The Wool Cabin in Salt Lake City. This is one of my favorite shops, by the way. 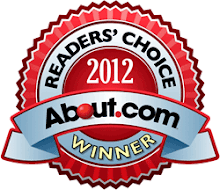 Call them to order anytime 801-466-1811, their customer service is fantastic! I could not believe it when I saw that one of Alison's customers, Mary, had knit 68 of my farm animals for her grandchildren for Christmas! That's right I said 68! They are so well-done and you have to read about the barns (plural) that were made for her, too. That barn is adorable. Read all about the talented Mary and her wonderful farm knitting by clicking right here! Thanks to Alison for sharing with me. And Mary..... wow, you are something else, grandma of the year at the very least! Those kids are lucky to have you. Here's another email I received a short while ago from Teresa, now a college student. She won a big award for her farm knitting. All of the patterns for the animals are found right here. Read all about it in her email below (shared with permission, of course). My name is Teresa and I'm currently a college student. I just wanted to share with you my knitting experience from my senior year of high school. I came across your book Spud and Chloe at the Farm on one of my favorite knitting blogs, http://nevernotknitting.blogspot.com/. It looked like such a fun project! I saw the book at my local grocery store, and almost bought it, but then decided that I wouldn't have time for such a big project during my senior year of high school. I changed my mind a few weeks later and bought the book off of amazon. I purchased all the yarn from Joanne Fabric and Craft Stores and got to work right away on making Chloe. I loved working on the project and very quickly found myself spending every evening working on the different characters. I have never worked on such a big knitting project and I was surprised at how much I enjoyed working on the animals. They were all so cute! 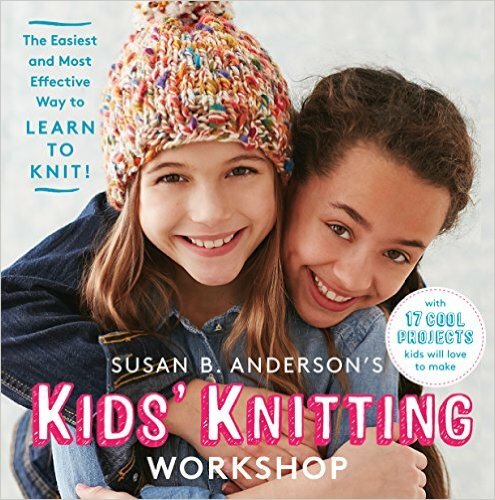 My little siblings loved watching the animals take shape and every time I sat down to continue knitting, I had to continually tell my siblings to keep their hands off my project. I would have loved for them to play with the animals, but I was working on the project to enter it in the 4-H department of our county fair and I didn't want any pulled stitches or funny stretch marks. I did make two dolls for my sister's birthdays that looked like each of them: one with a blond ponytail and one with extra thick brown pigtails! 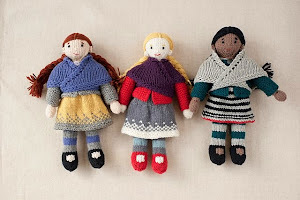 Those are well loved dolls! I nearly completed the project by the time judging day at the fair rolled around. I still have to complete some hay bales and the picket fence, but other than that the entire set was entered into the county fair. 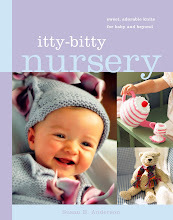 It won the Best Overall Knitting award and was selected to go to the state fair. At the state fair, it received the purple rosette! I was so happy! I just wanted to share this with you and thank you for creating the Spud and Chloe at the Farm project. 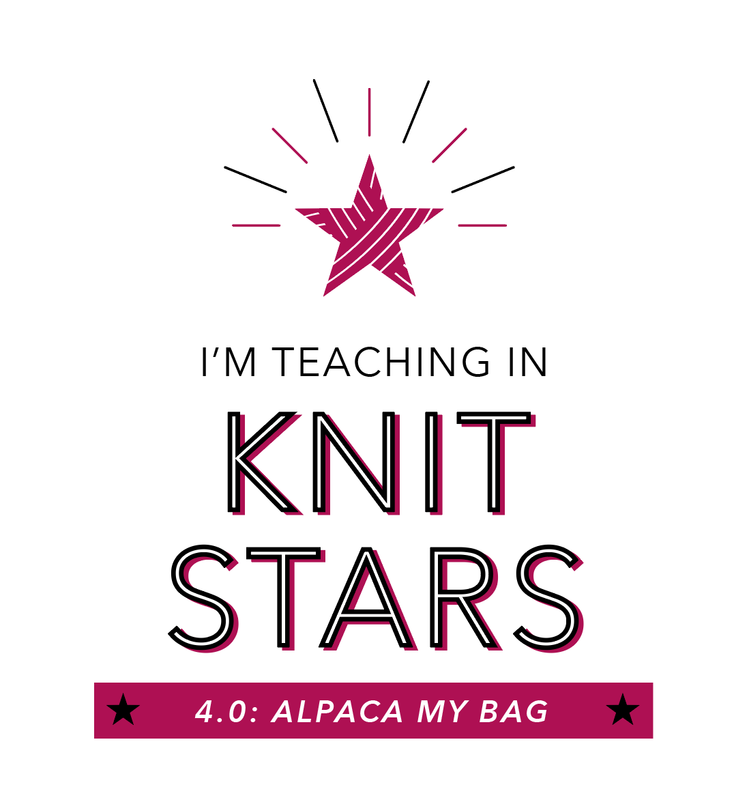 I really enjoyed working on the project and I learned so many new skills while knitting the farm animals. Attached is a copy of the three page article I wrote for the 4-H newsletter. It tells of my 4-H experience, and it might not interest you, but the part mostly about the farm animals begins in the second paragraph of the second page. 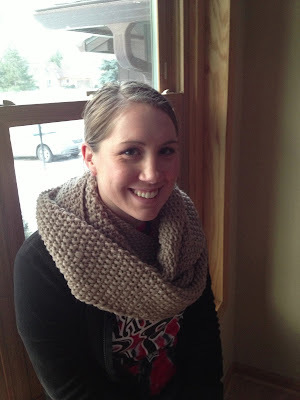 I look forward to following your blog and I can't wait for Christmas break so I can have more time to spend knitting! Thank you for taking the time to read this! I hope you have a lovely day! It's me again. Thank you, Teresa, for sharing with me. 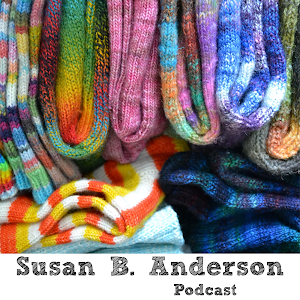 That was quite an undertaking for a young and busy knitter. Congratulations. I was going to do a giveaway at the end of last week but it got moved to a slightly later date for a good reason. 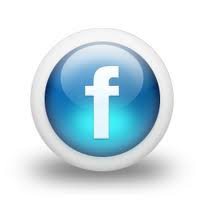 It is going to be an even bigger giveaway! 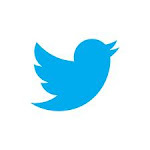 I'll keep you posted on all of that coming up. Wow! Miss Molly looks gorgeous in that lovely cowl! I've only been knitting since Nov 2012 and I've made a few scarves and a hat, and now working on the "Braided" pattern. Thank you Susan for that adorable scarf pattern and your instructions on you tube! So helpful! 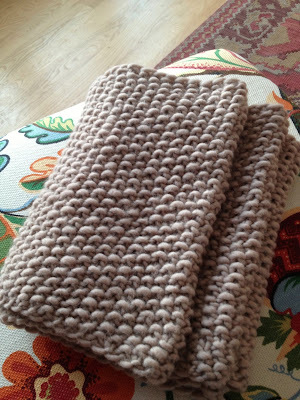 I would love to try a cowl like this! I've already completed one Christmas gift for next year already..I'm so proud and excited about knitting. 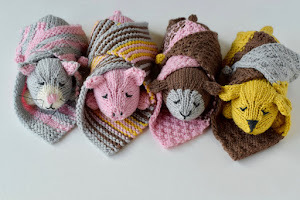 I have to say what an amazing job Mary did on those cute farm animals! Way-to-go Mary! How thoughtful you are to give these as gifts to your grandchildren! And Teresa congrats on your farm animals and your win! 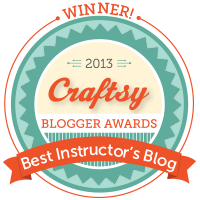 Susan, I've just starting following a couple of weeks ago when I found you on you tube...love this encouraging blog. 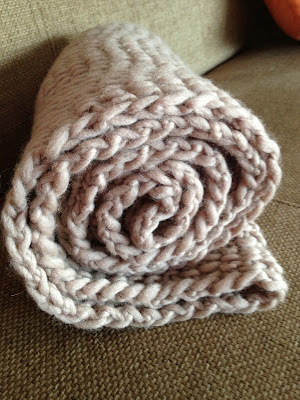 I've also just ordered some yarn to make another "braided" scarf from Spud & Chloe down south. I have to tell you that when I check your blog posts in the mornings my children are bustling around me getting ready for school. My little guy who is 6 requests that I "play the video" (for your new book) while tying his shoes. We've watched it over and over and it's just charming. My girls who are 12 and 10 love the music and they dance around the kitchen while it is playing. It's all very sweet and fun! The video company selected it. I love it, too, it is very sweet and bouncy. Thanks for sharing all the stories. 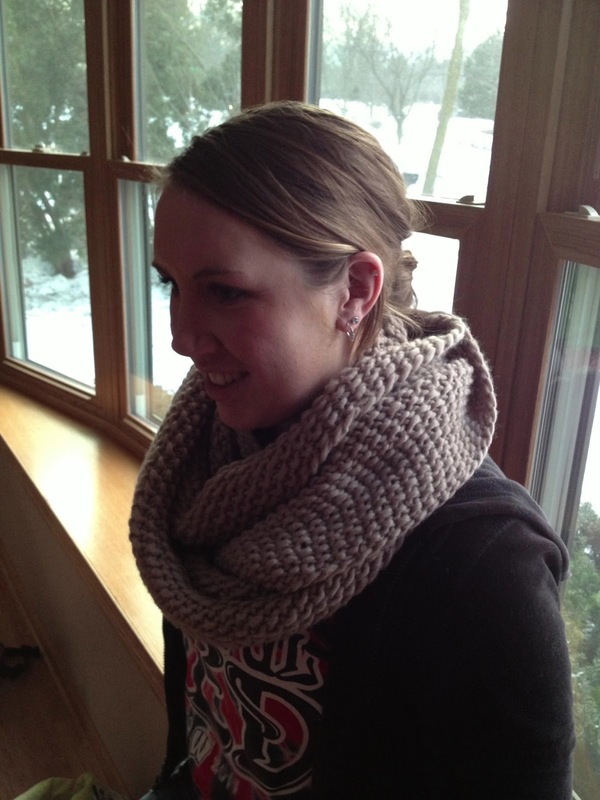 Molly's cowl looks wonderful and warm! 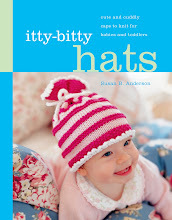 Seeing your designs knit and enjoyed by so many must be a fantastic experience! 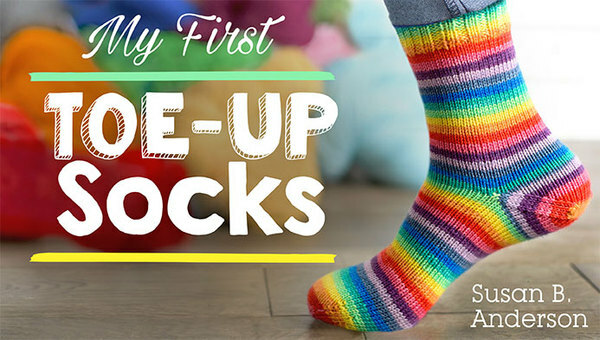 Molly will love her new socks in Dusk. I knit a pair with this color and they were my favorite until I wore a hole in the heel. It's a beautiful blend of colors. 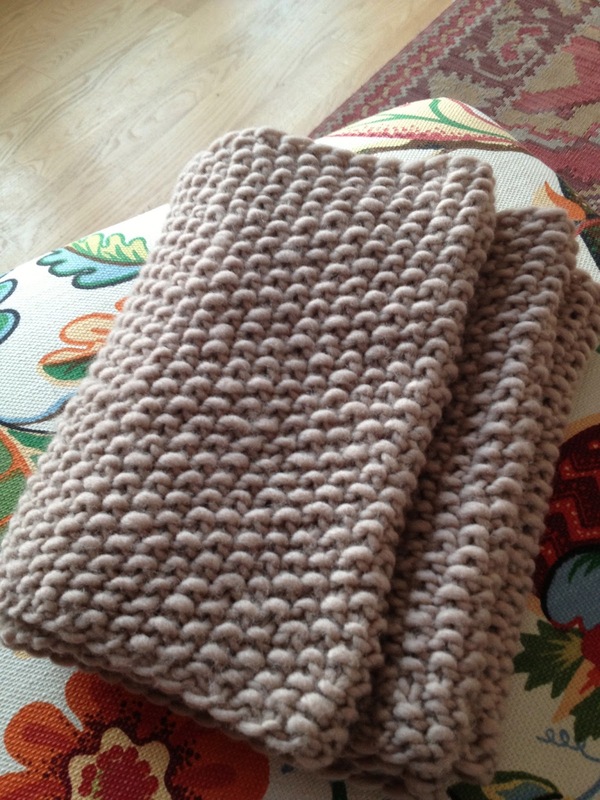 I have made both of those cowls and think they are perfect for college students. They knit up quickly and are soon to be the envy of all. 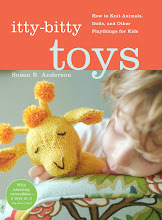 I love the knitter stories too. The 4-H project is awesome. How appropriate to knit a farm for 4-H.